The 600-page book, published by the Institute of Palestinian Studies, was co-authored by Hasan Ladadweh, instructor in the Department of Social and Behavioral Science. The book diagnoses and analyzes the structural shifts that took place in the Palestinian community since the Nakba of 1948 by examining the colonial context that encroaches upon the integrity, identity, and foundations of the Palestinian society. 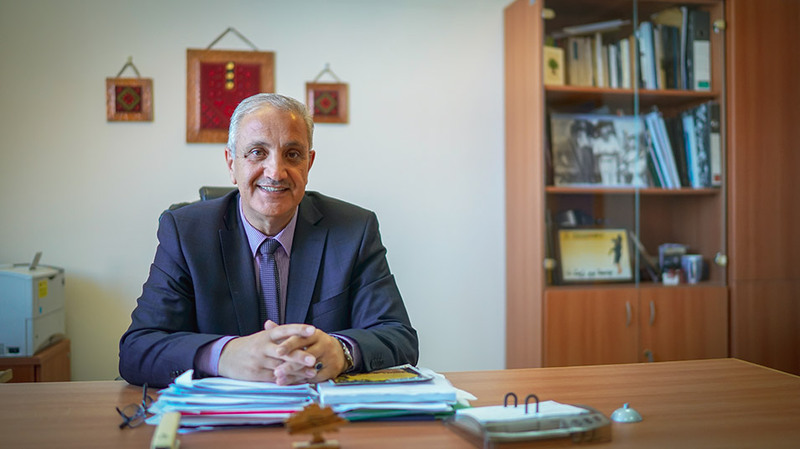 The transformations of Palestinian culture and arts have been discussed in a chapter written by Abdul Karim Bargouthi, director of the Master’s Program in Contemporary Arab Studies; and Jamal Daher, assistant professor of philosophy and cultural studies. Two main themes permeate the entirety of the book: the first identifies and analyzes the key social, political, economic, and cultural shifts, and the nature of the interaction between them and their surrounding spaces and environment. The second traces the aforementioned transformations through from the British Mandate period until the current times.